There are over 30 pieces of major legislation governing the employment relationship. For Business Owners, it is not possible to expect you can keep abreast of changes to legislation. 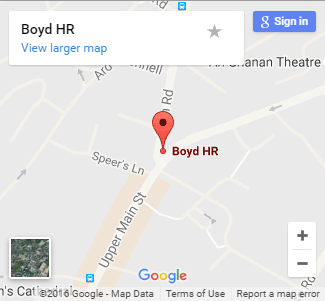 At Boyd HR, we specialise in providing Contracts of Employment, Employee Handbooks and personalised policies and procedures that ensure you are fully compliant. We also ensure that you have the necessary documentation in place and are fully prepared for WRC (formerly NERA) Audits. Call one of our Advisors at Boyd HR on 074 9123150 to get ‘peace of mind’ that you are fully compliant and not at risk of penalty.